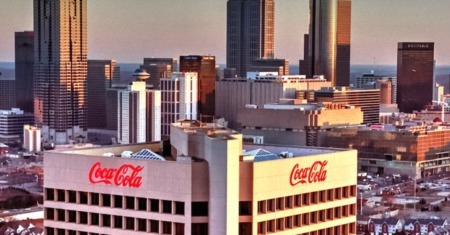 One of the most popular cities in Metro Atlanta, Brookhaven provides not only amazing restaurants, shopping, and entertainment, but also a wide array of public parks. Several parks have been brought to the attention of the city council, specifically Brookhaven Park, Ashford Park, Skyland Park, and Georgian Hills Park. Park regulars cited a desire for walking trails and on-site restrooms in these particular parks; those that voted to convert Brookhaven into a city have been quoted as saying their main focus was park maintenance and improvement, and they’ve wasted no time in beginning the improvement process. Some of the city's parks simply have benches and a playground; some house sports teams and walking trails and tennis courts. Local residents propose the addition of new amenities including: shaded playgrounds, water fountains, swimming pool renovations, and an increased number of playgrounds. 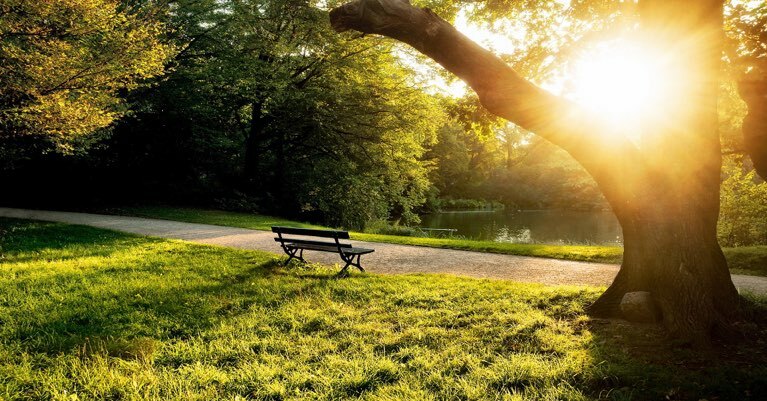 One of the largest parks in Brookhaven, Murphey Candler Park provides a well-rounded experience for every visitor. 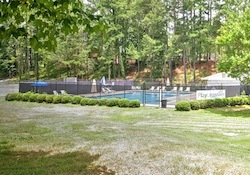 A large swimming pool is a community favorite, and there are numerous tennis courts available for play on a first come, first served basis. Several mixed use fields are sprinkled throughout the park, as well as picnic areas, a playground, and a walking trail that borders the lake. Visitors may also enjoy the scenic views and plethora of wildlife that inhabit the area. 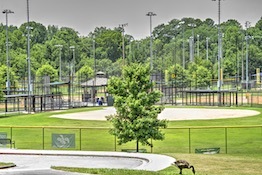 Murphey Candler is also home to youth baseball, softball, and football leagues. 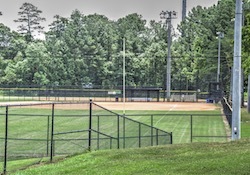 Visit the sports fields off of West Nancy Creek Drive or the playgrounds, picnic areas, and walking trails from Candler Lake East. 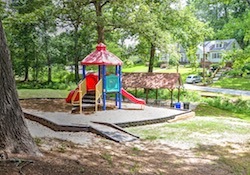 The park is a huge attraction for the already popular Murphey Candler neighborhood. 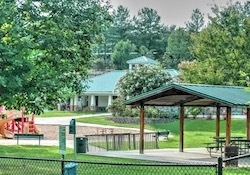 Just across the street from the YMCA and in a great central location on Ashford Dunwoody Road, Blackburn Park is a large, open grassy area with numerous picnic tables, a tennis center, playground, walking trails, softball fields and soccer fields. The park plays host to the Brookhaven Cherry Blossom Festival every spring, highlighting the cherry blossom trees that were planted along the perimeter in 2013. In addition, various softball leagues, soccer leagues and other sports tournaments are hosted at the park. Whether you're looking for a team to join, or just spend a relaxing day at the park, Blackburn has about everything an outdoor enthusiast is looking for. Nestled deep in the heart of the popular Lynwood Park neighborhood at the end of Osborne Road, Lynwood Park offers tennis courts, a swimming pool, basketball courts, greenspace, and a community center. An adult basketball team meets at the community center in Lynwood Park, organized by the Atlanta Sport and Social Club. The fields also play host to adult kickball leagues on weekday evenings. Located in one of the most popular neighborhoods in Brookhaven, Ashford Park is always busy and bustling with activity. Amenities include a community center, covered picnic areas, tennis courts, and a playground. You can’t miss this park on the corner of Redding Road and Caldwell Road. 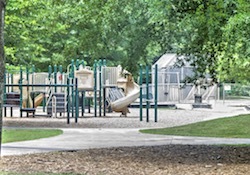 Brookhaven Park is situated on the corner of Peachtree Road and Osborne Road, with a main attraction in the form of a large, open, expansive field. 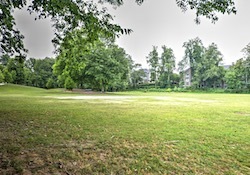 The field at Brookhaven Park is commonly used by local kickball and flag football leagues. Many dog owners enjoy bringing their pets to the park due to its size and wide open space. Other amenities also include a community center, basketball courts and a playground. Georgian Hills Park is located just off of Clairmont Road, across the street from the 57th Fighter Group restaurant. Residents of the neighborhood enjoy the convenience of this little known park, which has amenities ideal for those with small children. Georgian Hills Park has covered picnic tables, multiple playgrounds with slides and climbing obstacles, and basketball courts. There is also an open field which is great for playing catch or kicking around a soccer ball. Skyland Park is nestled away in a grove of trees just off Dresden Drive in the heart of Ashford Park. This small, quiet park, is a great place to spend the day. Skyland offers covered picnic areas, a large open field with backstop for softball/baseball, and tennis courts. You'll also find a playground with multiple slides, climbing bars and swings. Skyland Park makes a great choice for a family outing or birthday parties. Brookhaven is a quickly growing city, and the improvement of its current parks as well as its dedication to creating new parks will no doubt set it onto the right path.